From minor to major damages, Ramsower's Automotive LLC in Tucson, AZ 85716 ensures your vehicle is operating properly. 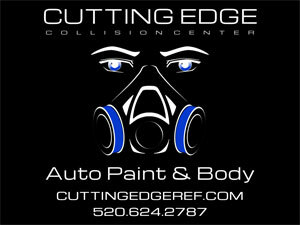 Contact us at 520-326-7224 or send us an email to find out what we can do for your vehicle. Although properly maintained bearings can last for over 100,000 miles, rumbles, clicks and groans means that the bearings need replacing (even if they haven't stayed for long). Worn out wheel bearings cannot carry your truck's load. For your bearing service and replacement needs, visit or call Ramsower's Automotive LLC. We offer a huge selection of wheel bearings that can fit any vehicle and truck, and have the expertise to make the repairs. A wheel hub motor, also referred to as a wheel motor, is an electric motor incorporated into the wheel hub and drives it directly. You can have a safer and smoother ride today by replacing your warped and worn out wheel hubs. Let Ramsower's Automotive LLC replace your worn out hubs today. Properly working seals provide oil and grease sealing - offering enhanced performance in a wide range of temperatures and environments. Worn out or warped seals allow external contaminants to enter the bearing unit or let lubricant escape from the unit. This ultimately leads to premature failure of the bearing unit. To keep out contamination and retain lubricant in the bearings, have the seals replaced with new ones. To have the seals replaced by experts, contact or visit Ramsower's Automotive LLC today. Studs are the threaded fasteners that hold on the wheels of your truck. The wheel studs are permanently mounted on the wheel hub through the brake disk or brake drum. To secure the wheel, nuts (lug nuts) are fastened over the stud. Stripped wheel studs can be quite dangerous. Damaged wheel studs should be replaced with new ones immediately. To have your truck's wheel studs replaced with high quality ones, call 520-326-7224 or visit Ramsower's Automotive LLC today. A wheel nut or lug nut is a fastener for securing a wheel on the hub. A set of lug nuts are used to secure a wheel to the threaded wheel studs (which are fixed to a wheel hub). Worn out nuts means one thing - the wheel is not fixed securely on the vehicle which puts the vehicle at the risk of rolling over. To have your truck's wheels securely fastened to the hub, contact or visit Ramsower's Automotive LLC in Tucson, AZ 85716 today.